Hugh Jackman is set to launch a pop star-like tour next year, but he's done his research: He's been to a Beyonce concert. A Justin Timberlake concert. AND A MICHAEL JACKSON CONCERT. Jackman says he's "seen some of the greats. And the great performers for me are the ones who can connect with the person in the back and in the front." The actor, who was born in Australia, did an arena tour there three years ago, but never thought he would be able to replicate that success. 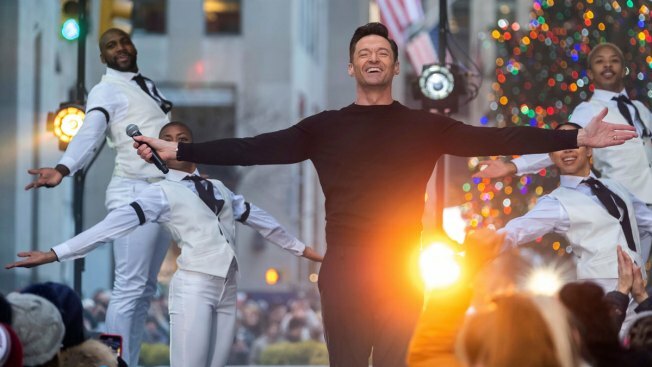 But then came "The Greatest Showman" — a game changer for Jackman's music career. He says the opportunity to go around the world ... "I probably wouldn't have had it if it wasn't for 'The Greatest Showman.' That tipped me over."